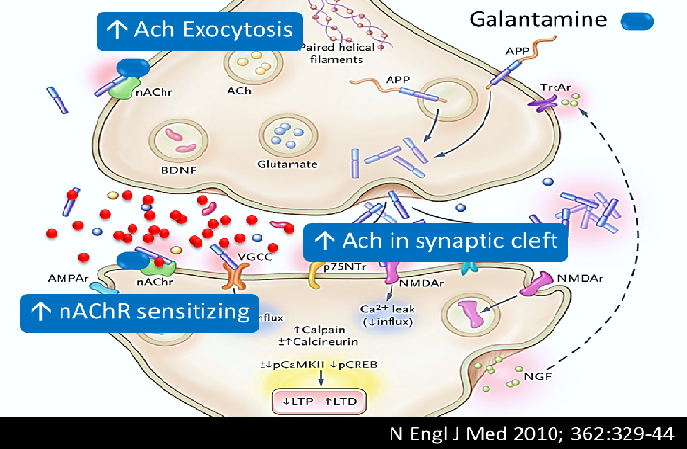 In many countries, acetylcholinesterase inhibitors (AChEIs) are considered the standard of care for Alzheimer’s disease (AD). Yet for the most part, these are derived from plants, including galantamine, rivastigmine, physostigmine, and huperzine. Nevertheless, the most widely used AChEI is donepezil, a synthetic reversible, noncompetitive, piperidine-type AChEI. It is not of plant origin, and perhaps for that reason donepezil is associated with more severe side effects than galantamine, including sleep disturbances, cardiovascular problems such as bradycardia (an arrhythmia that slows the heart down), extrapyramidal symptoms (movement disorders), and behavioral disturbances. acetylcholine. Therefore, it provides benefits beyond what other AChE inhibitors can do, and especially donepezil according to a new 16-week long double-blind trial conducted at nine hospitals in China in which galantamine was given to 116 subjects with mild to moderate Alzheimer’s disease and donepezil to 117.1 And the differences were significant—two up for galantamine. The researchers used the Alzheimer’s Disease Assessment Scale – cognitive subscale (ADAS-cog/11) to measure the effectiveness of the two AChEIs. ADAS was developed in the early 1980s to measure the severity of the most important symptoms of AD. There have been several modifications and additions to it over the years. Today, its subscale ADAS-cog/11 is the most popular cognitive testing instrument used in the clinical trials of nootropics, including AChEIs. * It consists of 11 tasks measuring the disturbances of memory, language, praxis, attention and other cognitive abilities that are often referred to as the core symptoms of AD (see photograph at right). * Nootropic (nō-ō-trop´ ik) refers to smart drugs, memory enhancers, neuro-enhancers, cognitive enhancers, and intelligence enhancers. These entail the categories of drugs, supplements, nutraceuticals, and functional foods that improve or are purported to improve mental functions such as cognition, memory, intelligence, motivation, attention, and concentration. It’s all determined by whether the evidence supports the claim. The present 16-week multicenter, double-blind trial demonstrated that improvements in cognitive function (ADAS-cog/11), daily living capabilities (Alzheimer’s Disease Cooperative Study Activities of Daily Living Inventory), and neuropsychiatric symptoms (Neuropsychiatric Inventory) in Chinese patients with AD are broadly similar with galantamine (16–24 mg/day) and donepezil (5–10 mg/day). However, the overall level of response in terms of ADAS-cog/11 score was significantly better for galantamine than for donepezil. In the new study, the researchers found that scores improved significantly from baseline for both galantamine and donepezil, but there was a significant difference in favor of galantamine compared to donepezil in the “language” functional area. Also, significantly more galantamine-treated patients responded to treatment (defined as reductions in the ADAS-cog/11 scores of >4, >7, or >10 points), and had a total ADAS-cog/11 score >20 at the end point. Both treatments were well tolerated, although fewer galantamine-treated patients experienced gastrointestinal adverse events compared with donepezil (30% versus 48%). Donepezil is associated with more severe side effects than galantamine. Furthermore, improvement in the ADAS-cog/11 functional area of language ability, a composite of the ADAS-cog/11 items “spoken language ability,” “word-finding difficulty,” and “comprehension in spontaneous speech,” was significantly greater with galantamine than with donepezil. Previous data on language performance in patients with Alzheimer’s disease receiving galantamine or donepezil are limited. A 24-week study in 1467 patients with moderate to severe Alzheimer’s disease showed no benefit of donepezil 10 mg/day on language assessed using the Severe Impairment Battery-Language scale.2 However, significant improvements in language were seen when the donepezil dose was increased to 23 mg/day. In a secondary analysis of a 4-month, placebo-controlled trial of galantamine in 130 community-dwelling patients with mild to moderate Alzheimer’s disease, significantly more patients receiving galantamine experienced a reduction in verbal repetition compared with those receiving placebo (58% versus 24%).3 This is not the first time that galantamine has shown superiority to donepezil in a double-blind study. It is the second time. To put this into context, a meta-analysis conducted in 2008 found that the AChEIs donepezil, galantamine, and rivastigmine were “able to stabilize or slow decline in cognition, function, behavior, and global change. No clear evidence exists to determine whether one of these drugs is more efficacious than another, although adjusted indirect comparisons suggest that donepezil and rivastigmine may be slightly more efficacious than galantamine, at least as reflected by some outcome measures.”4 But that is not what more recent studies are finding, including the current Chinese study. Galantamine excelled over donepezil in the “language” functional area. Previously, few comparative studies of galantamine and donepezil have been conducted. In fact, there have only been two rater-blinded trials† comparing the two drugs over 16 and 52 weeks. While the shorter of these (a 16-week trial) yielded more positive results for donepezil, the longer trial (12 months) showed superiority of galantamine over donepezil with regard to cognition. † Blind raters know nothing about the subjects that are included in a study or experiment and therefore there is far less chance of bias. In the present study, as in placebo-controlled studies, galantamine was well tolerated. And, unlike the previous 16-week comparative study of galantamine and donepezil,5 the present study showed a lower overall adverse event rate for galantamine and a lower frequency of gastrointestinal adverse events. The slight differences in outcomes of the different comparative studies may be attributable to treatment duration, study design, and patient variability. The principal strengths of the present study are its double-blind, active-comparator design,‡ and the reporting of key outcomes, subgroup analyses, and adverse event profiles. The chief weakness of the study is its sample sizes, which were only four patients per treatment arm and smaller than determined in the sample size calculation. ‡ During the last decade, it has become an increasing common practice to conduct “active comparator” studies (also known as “active control” trials). In other words, when a treatment is clearly better than doing nothing for the subject (i.e. giving them the placebo), the alternate treatment would be a standard-of-care therapy. The study would compare the “test” treatment to standard-of-care therapy. However, the dropout rate in the study (15%) was lower than that used in the sample size calculation (20%). Additional limitations of the study are the lack of data imputation (although the rate of discontinuation was similar in the two treatment arms), the inclusion (albeit with a washout period) of patients who had previously received AChEIs, the relatively short follow-up, and the lack of data on possible interfering genotypes among the participants. Figure 2. Percentage of patients with an improvement from baseline of >0, >4, >7, and >10 points on the Alzheimer’s Disease Assessment Scale—cognitive subscale (ADAS-cog/11). Although improvements in cognition were generally similar in the galantamine and donepezil arms, response to treatment (as indicated by reductions in ADAS-cog/11 score >4, >7, and >10 points), language ability (in terms of the “language” functional areas of the ADAS-cog/11 measurements), and the percentage of patients with low cognitive impairment (ADAS-cog/11 score >20) were significantly greater with galantamine (see Fig. 2 on page 18). So if maintaining language strengths are of value to you because of your profession, your avocation, or your preferences, galantamine (especially when enhanced by choline, omega-3 fish oils, turmeric, lithium, quercetin, green tea, and various vitamins) is your cup of tea. Zhang Z, Yu L, Gaudig M, Schäuble B, Richarz U. Galantamine versus donepezil in Chinese patients with Alzheimer’s disease: results from a randomized, double-blind study. Neuropsychiatr Dis Treat. 2012;8:571-7. doi: 10.2147/NDT.S38747. Epub 2012 Dec 4. Ferris SH, Schmitt FA, Saxton J, et al. Analyzing the impact of 23 mg/day donepezil on language dysfunction in moderate to severe Alzheimer’s disease. Alzheimers Res Ther. 2011;3:22. Rockwood K, Fay S, Jarrett P, et al. Effect of galantamine on verbal repetition in AD: a secondary analysis of the VISTA trial. Neurology. 2007;68:1116–1121. Hansen RA, Gartlehner G, Webb AP, Morgan LC, Moore CG, Jonas DE. Efficacy and safety of donepezil, galantamine, and rivastigmine for the treatment of Alzheimer’s disease: a systematic review and meta-analysis. Clin Interv Aging. 2008;3(2):211-25. Jones RW, Soininen H, Hager K, et al. A multinational, randomised, 12-week study comparing the effects of donepezil and galantamine in patients with mild to moderate Alzheimer’s disease. Int J Geriatr Psychiatry. 2004;19:58–67. Chu LW, Yik PY, Mok W, et al. A 2-year open-label study of galantamine therapy in Chinese Alzheimer’s disease patients in Hong Kong. Int J Clin Pract. 2007;61:403–410. 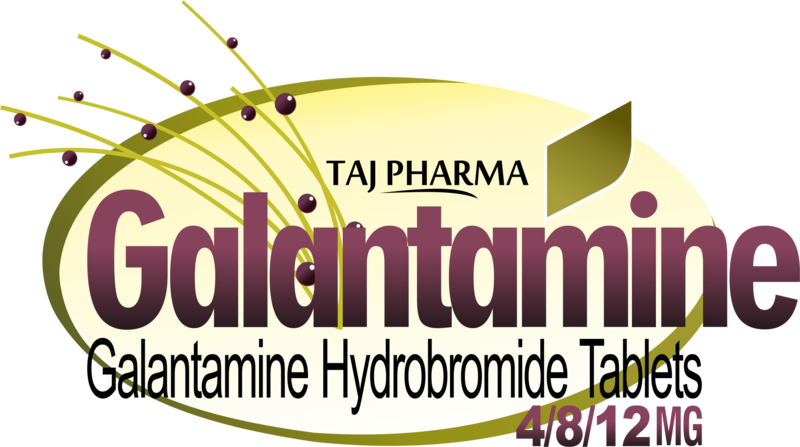 Taj Accura Generics offers; (galantamine hydrobromide) Extended-Release Capsules/Tablets equivalent to respectively 4,8, 16 and 24 mg galantamine base strengths. Galantamine is an oral medication used to treat patients with Alzheimer’s disease. Galantamine is in a class of drugs called cholinesterase inhibitors that also includes tacrine (Cognex), donezepil (Aricept), and rivastigmine (Exelon). 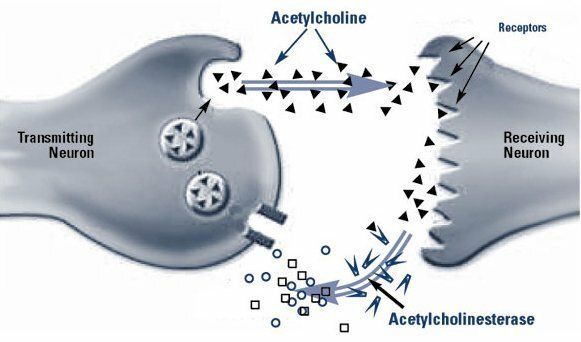 Cholinesterase inhibitors inhibit (block) the action of acetylcholinesterase, the enzyme responsible for the destruction of acetylcholine. Acetylcholine is one of several neurotransmitters in the brain, chemicals that nerve cells use to communicate with one another. Reduced levels of acetylcholine in the brain are believed to be responsible for some of the symptoms of Alzheimer’s disease. By blocking the enzyme that destroys acetylcholine, galantamine increases the concentration of acetylcholine in the brain, and this increase is believed to be responsible for the improvement in thinking. Galantamine was approved by the FDA in 2001.